Last month I set myself the challenge of posting one Jewish wedding tip by video, every single day on the Smashing The Glass Facebook page. 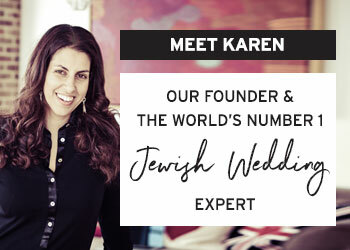 It amounted to 31 two-minute tip videos of me talking about everything from killer wedding shoes to how to get the best out of your wedding vendors, to how to get that amazing ‘crush’ sound when you smash the glass, to the importance of keeping your family happy to literally EVERY fantastic wedding tip under the sun chuppah! As of today (August 10, 2017), the videos have collectively been viewed well over 10,00 times, so there must have been a few nuggets in there! As such, I thought it would be a good idea to post them all here for you to enjoy in one place. Let me know which one’s your favorite? Happy Planning! Granted it’s not the most exciting of topics, but one that definitely needs addressing, so thank you, Emily, for highlighting it! I asked Emily to provide me with an exact list of questions that she wanted answering and then called upon the expertise of STG regular, the wonderful Rabbi Paul Glantz to shed light on the the legal requirements of a Jewish wedding ceremony in England, and the UK. 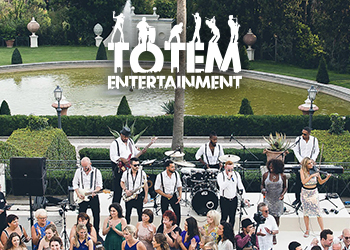 For any American readers, or brides holding a destination Jewish wedding in the USA, a post detailing the legal requirements of a Jewish wedding in the USA will be up on the blog in he coming weeks too. 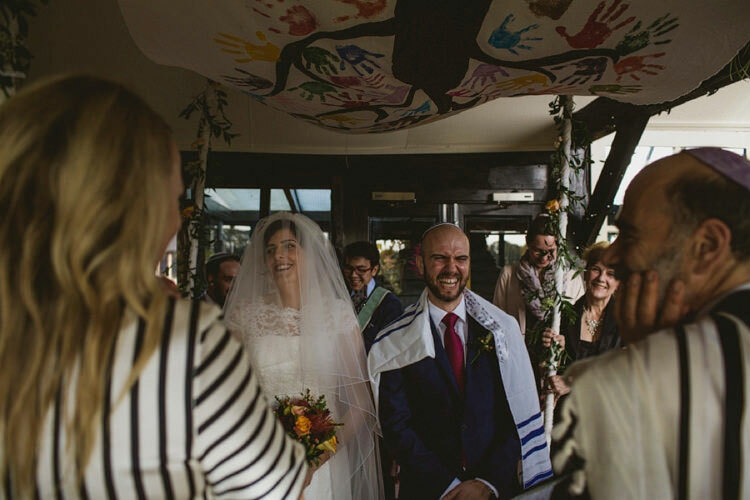 Smashing The Glass is all about super creative Jewish (and Jew-ish) weddings packed with individuality and personal details so you’ve definitely come to the right place for inspiration! 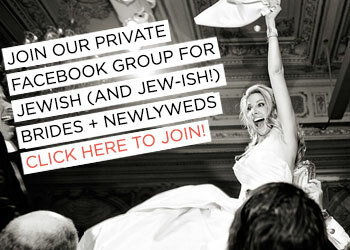 A lovely way to get your closest friends and family involved is to have them contribute to your chuppah design. 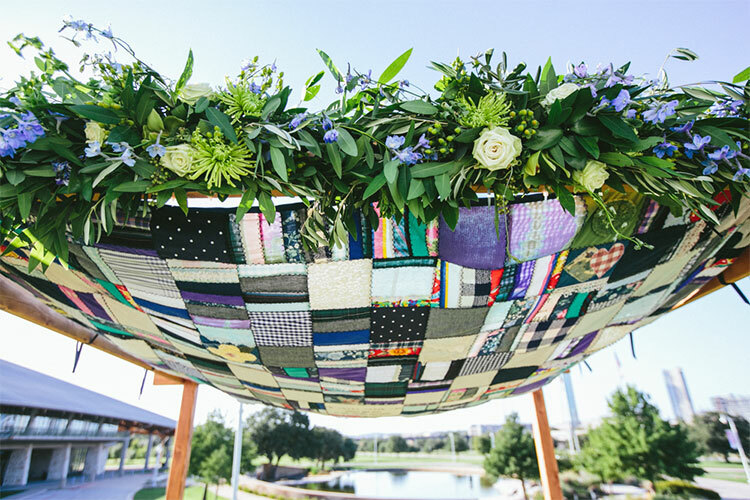 Ask guests to contribute different squares (tell them what size is required or supply a blank piece of square material sized correctly) and patchwork them together to make one big chuppah canopy. Cheryl and Ernest’s beautiful personalised chuppah quilt (below) is an example that’s made out of the clothes of the bride’s mother who sadly passed away, and other momentous pieces including her grandmother’s wedding dress and a shirt her mum had kept of her grandfather’s after he had died, but the same quilt style could be used by asking friends and family to each contribute a square, and sewing them altogether. Or do what my husband and I did where we asked some of our guests to contribute to our chuppah design by asking them to compose a short message (in English or Hebrew) that we then incorporated into our chuppah canopy design. This was also a lovely way of including guests from abroad that weren’t able to attend in person. We also chose four significant people to hold each of the four chuppah poles including Sharon, our Irish Catholic mutual friend that set us up (chuppah holders don’t have to be Jewish). Perhaps your fiancà©e’s best friend could do that? Everyone we asked felt very honoured! Another ‘ceremony’ idea is to replace the traditional Sheva Brachot (seven blessings) with prayers by all your friends personalised for you, then have each friend came up and read their own prayer. 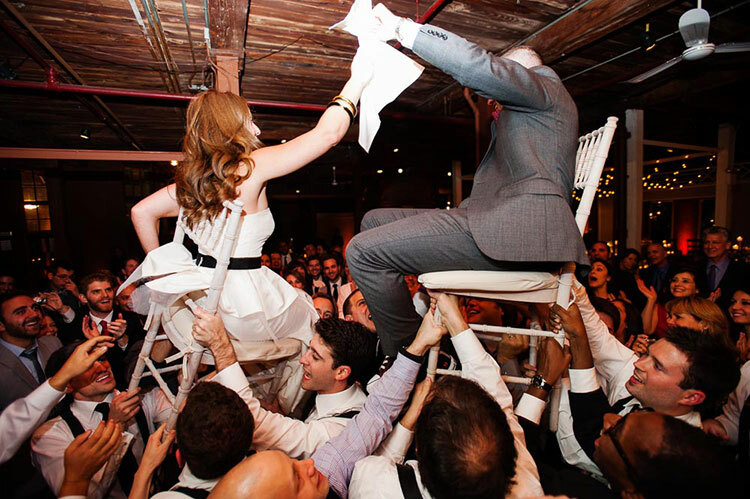 Chelm and Jake did that in their Jewish wedding — have a read of their wedding post for many more ideas of how to involve friends and family. And even if you don’t want to personalise the seven blessings, you can still ask seven different friends or cousins to read each blessing for you at the chuppah. People comfortable reading Hebrew can read the blessing in Hebrew, while non-Jewish friends can always read an English translation. 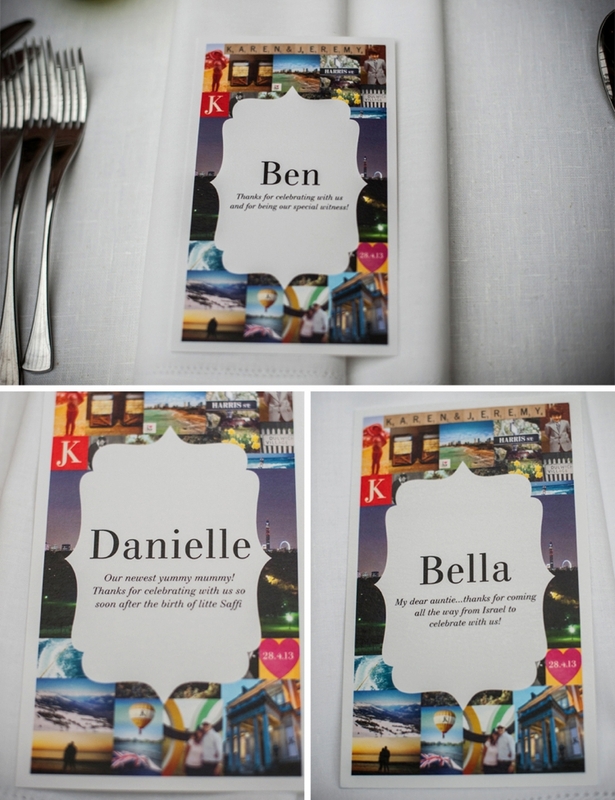 A lovely way to make your guests feel super special is to incorporate another detail that I did for my wedding. My husband and I knew we wouldn’t have a lot of time to talk to everyone on the day, so we spent some time before the wedding writing personal notes to everyone at the wedding which we then had printed underneath their names on their menus / name cards. It took a bit of time but we really wanted each and every guest to realise how much we wanted them there and what they meant to us. 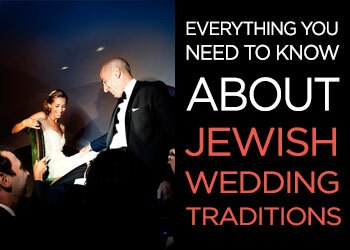 What’s the correct processional order for a Jewish wedding ceremony? To begin with, I want to say that “there is no such thing as a ‘generic’ Jewish wedding — no matter what the rabbi tells you, no matter what your mother tells you, and no matter what the caterer tells you”. Rabbi and/or chazan (cantor) on Rabbi’s right. Good question! 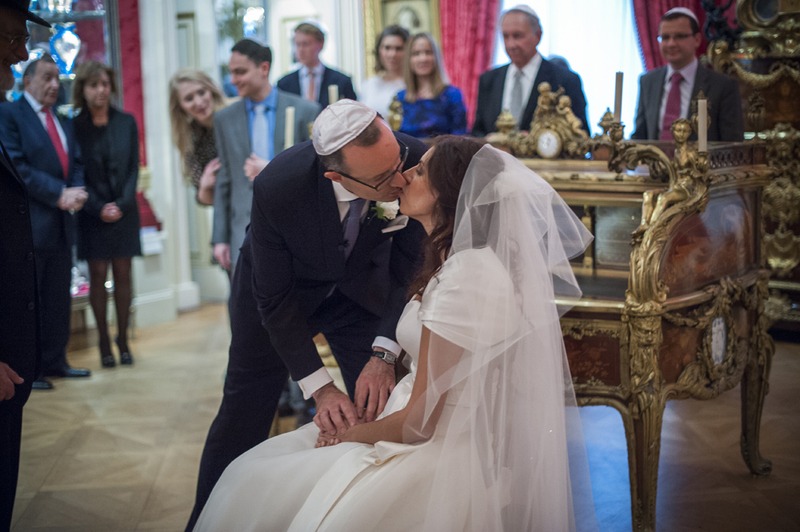 Many wonderful traditions come together in a Jewish Wedding Ceremony and each one symbolises the beauty of the relationship of a husband and wife, as well as their obligations to each other and the Jewish people. Here’s my guide to everything you need to know. To start with we have two short, but very important, rituals. The first is the signing of the ketubah. 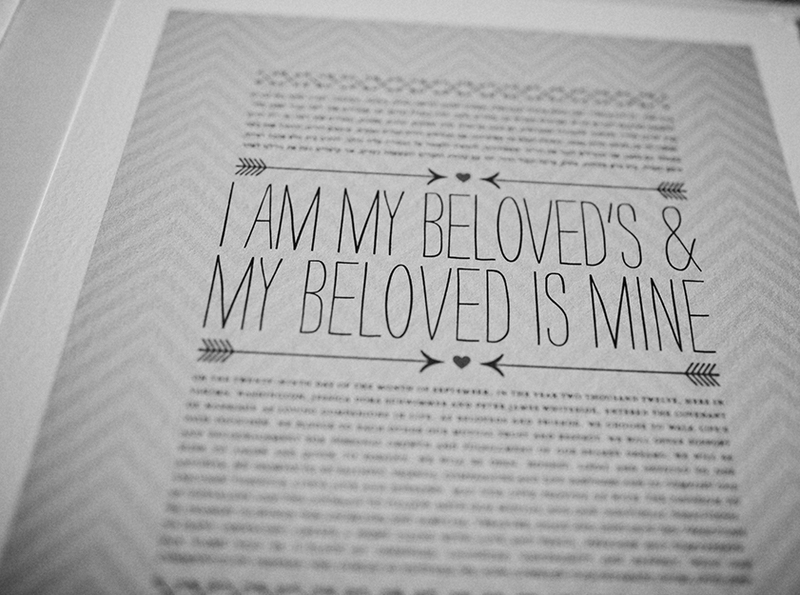 The ketubah is an ancient document — a marriage contract of sorts — that specifies the groom’s commitments to the bride. It is signed by two appointed Jewish witnesses, who must not be blood-related family members to the bride and groom. Ketubot are often beautiful pieces of artwork that can be framed and displayed in the home. 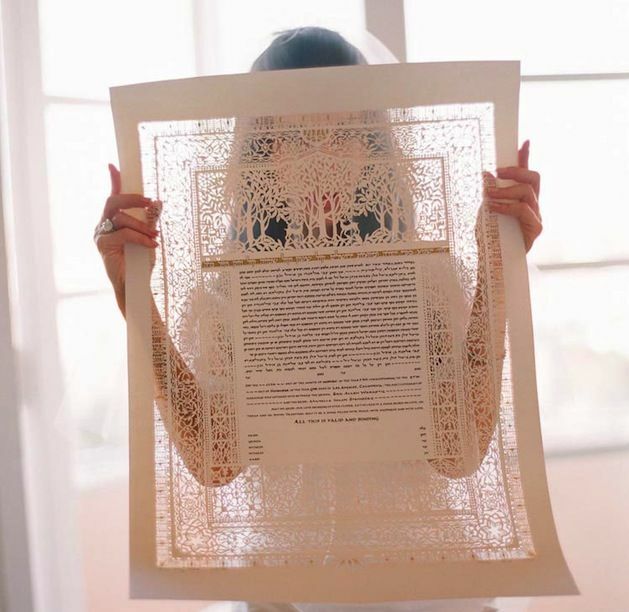 The second is called the badeken and it happens straight after the ketubah signing. It’s a short but meaningful ritual where the groom covers the bride’s face with her veil. It’s a custom that derives from the biblical account of Jacob’s first marriage, when he was deceived to marry the heavily veiled Leah instead of Rachel, his intended bride. 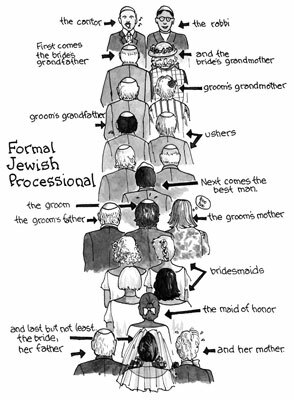 I’ve heard that some egalitarian couples are now balancing this tradition by having the bride place a kippah (yarmulke) on her bridegroom’s head too! The badeken is often emotionally charged as the bride and groom may not have seen each other for 24 hours or longer (as much as 7 days) until this moment. Now it’s time for the wedding party to enter the main ceremony area where all the guests are seated. 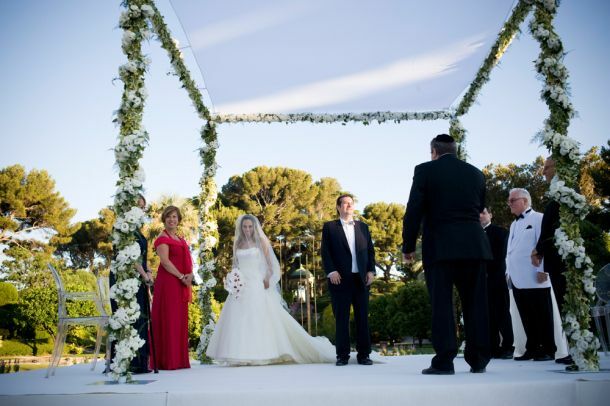 They make their way towards the focal point of the ceremony – a canopy held up by four poles known as the the chuppah. The chuppah represents the shelter and privacy of the home that the bride and groom will create following their marriage. The home is central in Jewish life — it is the place where we grow up, learn to share and love, and from which we also secure our independence. You will see that the bride and groom stand at the centre of it, and the walls are formed by those closest to them. Just as the walls of our home protect us from the elements, offering warmth and security, so too the ‘walls’ of the chuppah — that is our families and friends — provide support and strength with their love. 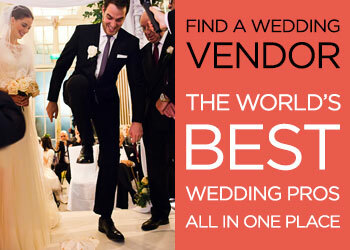 The bride follows the groom towards the chuppah, and both are usually escorted by their respective sets of parents. The custom of the bride circling the bridegroom seven times has been interpreted as the symbolic building of a wall of love around the relationship of the bride and groom. Seven represents the most sacred of all numbers in Judaism and also symbolises the wholeness and completeness that they cannot attain separately. Again, some more modern couples choose to update this ritual by circling around each other three times and then a final figure of eight. 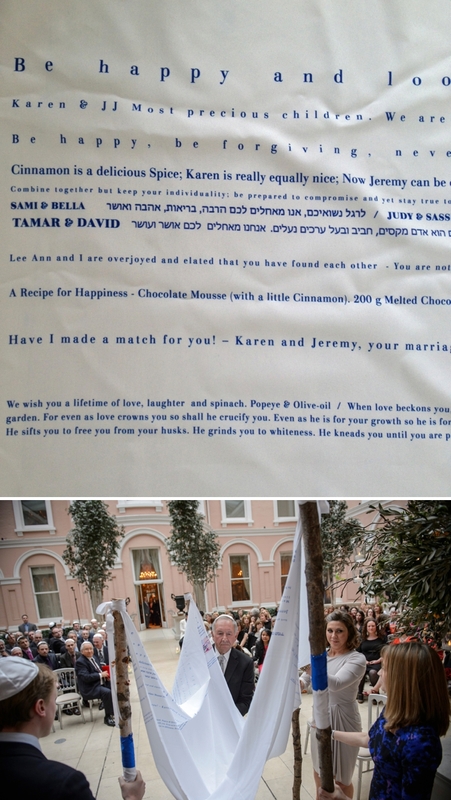 Chelm and Jake did this in their fabulously personal Jewish wedding.